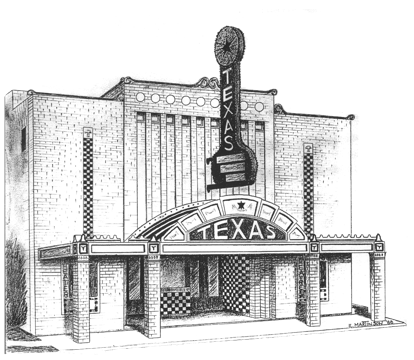 Welcome to the Stephen and Mary Birch Texas Theatre, the newest pride of Seguin! 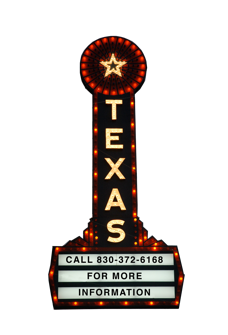 Seguin is home to Texas Lutheran University, Teatro de Artes de Juan Seguin, and the Seguin Performing Arts Company. These organizations all shared the Seguin Conservation Society vision for a 350-seat performing arts venue in downtown Seguin. The dream has been realized and the doors to the beautiful theatre were opened in March of 2011. Read about our wonderful history, look at our vivid pictures, join us as a volunteer, rent our facility, or see what coming attractions we will offer in the coming months.